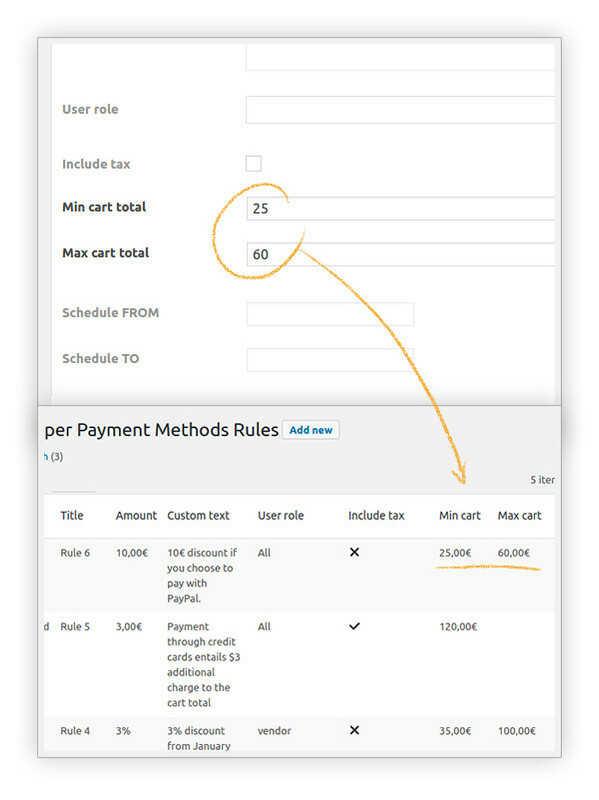 YITH WooCommerce Dynamic pricing per Payment Method Premium Extension: allows you to set a markup or a discount depending on the payment method used. The solution is very simple, all you need to do is to apply the increase in the exact moment your customer is picking their payment method so that you won’t have to raise the price of your product, you’ll even get to lower it instead! 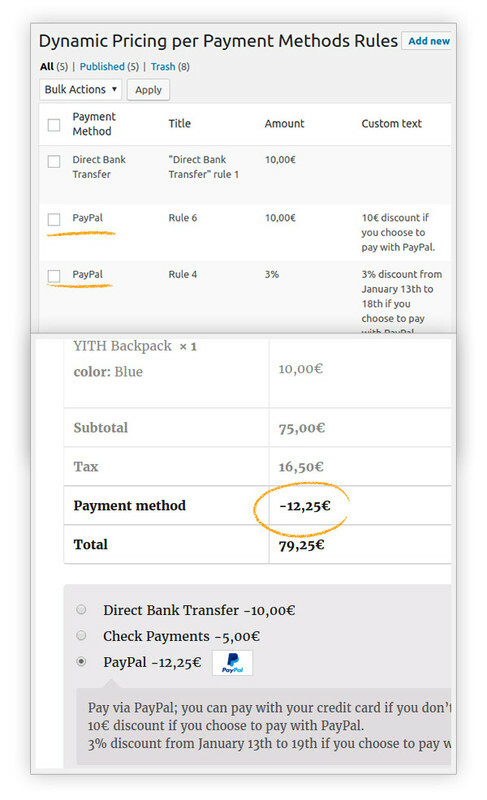 YITH Dynamic Pricing per Payment Method for WooCommerce is the ultimate solution for this issue that kept customers away from purchasing until now. 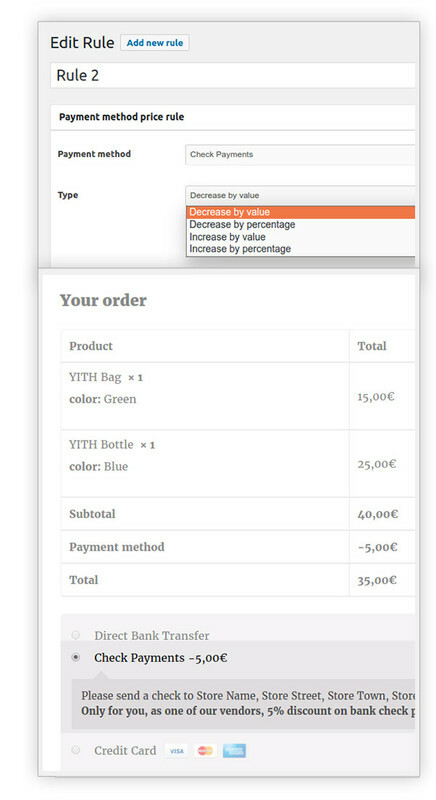 After installing it, you will finally get to decide whether or not to increase the price (in percentage or as a fixed amount) but also to perform discounts on the total amount of the order. You will also be able to schedule increases or discounts for a fixed time frame in order to have full control. 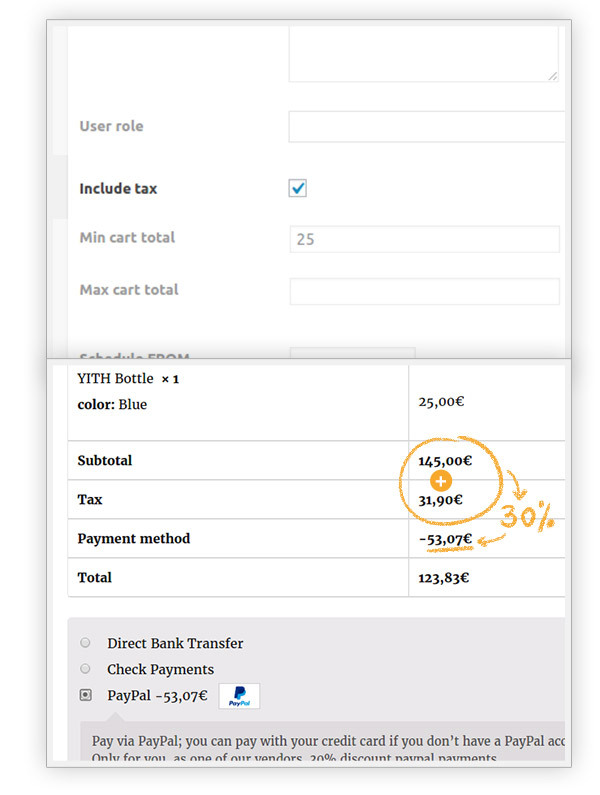 Imagine there is a promotion on one of the payment methods you use, in this case in just a few clicks you could notify your customers of this promotion and apply the discount directly during the checkout dynamically.